The information that follows may seem very basic, but if you don’t know certain things and no one tells you – or if people tell you the wrong things – how are you going to know? First, there is no battle between essential oils vs tinctures. They are simply very different things. Because there is currently so much misinformation and hype about essential oils, let me start by addressing a few very important issues. #1 Essential oils are NOT for human consumption. #2 They should NOT be used externally unless they are in a base of vegetable oil (like olive oil) or beeswax. “Essential oils” are NOT oils. How they got named that way is a mystery me, but that’s what everyone calls them so we have to go with it. Essential oils need to be handled with care, kept away from children, and if they come into contact with your hands, you should wash them carefully afterwards so that you don’t touch the area around your eyes and inadvertently apply essential oil to it. Let me repeat something so that it’s clear: Keep essential oils away from children. Consumed in even small amounts they can be toxic and even lead to fatalities. If you apply something externally that contains essential oils in it and it causes an irritation: stop. All I will say about this is that it’s a great way to sell lots of essential oils and I personally would not allow anyone to apply undiluted essential oils to my spine and rub them in. So what are essential oils good for? The key to safety is sourcing correctly, using the right proportions and blending thoroughly. Essential oils, like every substance on earth, need to be handled with knowledge and respect and because essential oils are so super concentrated, they need to be handled with extra care and knowledge. Find a legitimate source of info – not an essential oil merchant or promoter – and educate yourself before using them. The manufacture and marketing of essential oils are not regulated so with all the current hype, the “gold rush” is on and there are a lot of substandard products on the market and a lot of greedy and/or uninformed people making wild claims. If I’ve made essential oils sounds a bit forbidding, good. Handling them safely requires a serious education, one that you are NOT likely to get from a multi-level marketing sales pitch. If you feel drawn to essential oils, take your time and research them thoroughly. Learn how they are made (there are good and bad manufacturing practices) and learn how to handle them safely and what hazards they can pose. Then, take a class from a serious herbalist, someone who has worked in the field for many years, has received training and certification from recognized sources, and who understands that essential oils are, like many substances we use everyday, essentially “poisons” that need to be handled with knowledge and care. The correct term for tincture is, quite logically, “tincture,” but for some reason the FDA doesn’t like that term so tincture makers often call their products extracts or herbal extracts or even herbal supplements. A tincture is made by soaking plant material in alcohol for a number of weeks and then straining the plant material out so that all that remains is the liquid. That liquid is your tincture. Very simply, it’s an effective way to extract phytochemicals (the chemicals that plants create) from a plant for tonic or therapeutic use. Tinctures for many plants are readily available in health food stores or on the Internet. Some of the better known brands are Herb Pharm and Gaia. You can make your own tinctures and goodness knows homemade tinctures are much less expensive than store-bought ones. That said, making tinctures yourself requires serious knowledge. For one thing you need to know how to identify the plant correctly, recognize its quality or lack thereof, harvest it at the right time, use the correct part(s) of the plant, and handle and store it correctly until it’s time to tincture it. Also consider that the plant you may need to make a tincture today may simply not available locally or seasonally. For example, if you need an echinacea tincture in February to deal with an oncoming cold, you’re out of luck on two counts. One, good plant material may not be readily available and two, it takes two weeks or more to make a tincture. Tincture makers, whether they are “big” companies or cottage-sized, need to make tinctures according to plants’ schedules and they need to make a wide variety of them in large enough quantities to have them on hand when people need them which may be weeks, months or even years from the time of manufacture. Good news: You can go to your local health food store and choose from dozens of different professionally tinctured plants. Even more good news: From the time they are manufactured – which may be very different from the time they are sold – tinctures stored away from heat and light will have a shelf life of five years, give or take. Given the service the good tincture makers render, they probably earn their markup. There are some phytochemicals in some plants that simply cannot be effectively extracted by water or by simple digestion. Even for herbs that can be digested in a powered form (usually in a capsule), store-bought powdered herbs are on the very weak end of the potency spectrum. The minute a harvested herb is exposed to air its phytochemical constituents start to break down. Powedering, by exposing more of the plant material to the air, greatly accelerates this process. If you powder a properly dried and stored herb that is “fresh” and consume it right away that’s one thing, but when you buy powdered herbs in a health food store there is no telling how old the source plant was before it was powdered, how long it’s been since it was powdered, or how it’s been handle and stored. You may also find that the plant advertised on the label is not the plant in the powder. It happens a lot. I’m not going to say that powdered herbs in capsules sold in health food stores are totally useless, but you can draw your own intelligent conclusion from the information above. The second reason to go with tinctures is quality and economy. Good makers take great care in selecting the plant materials they tincture. They probably know more and have a greater range of sources than you. When you’re traveling, it’s hard to take an herbal apothecary on the road with you. How much tincture do you take? Read and follow the directions on the bottle. This is where you need to consult an herbalist or trusted herbal. It all depends on what conditions you’re treating and that obviously requires research and consultation about your particular needs. The point is that tinctures are a wonderful handy way to get high quality herbal materials. Also, to go back to the beginning of this article, in contrast, essential oils require a great deal of care and specialized knowledge. Just because you can buy them over the counter in a health food store or from a silver-tongued multi-level marketing salesperson, doesn’t mean they should be handled casually or carelessly. 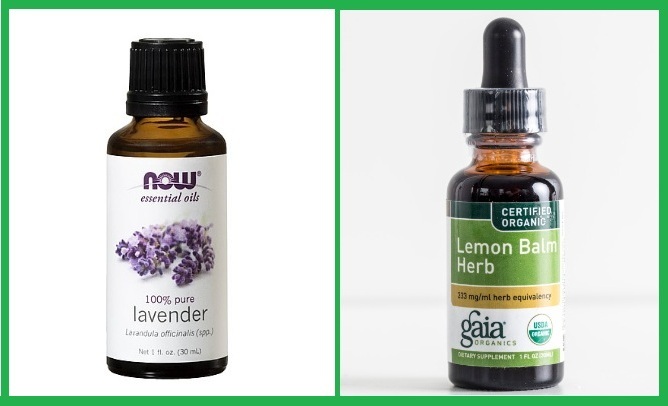 Make sure you know and understand the difference between essential oils and tinctures. Predictably, I received a few angry letters from essential oil fans. 1. Essential oils need to be manufactured correctly to be safe and efficacious. Not every company that makes them can be relied on. 4. Essential oils should be handled with care and not applied directly to the skin unless they are in a base of vegetable oil or bees wax in correct proportions. 5. Essential oils are NOT “oils” in the sense that coconut and olive oil are oils. They are super-concentrated plant extracts. If you are going to use essential oils, do your homework and talk to an experienced herbalist first. Any practitioner who does not tell you these things is guilty of malpractice. This entry was posted in "Weeds", Education, Medicine. Bookmark the permalink.